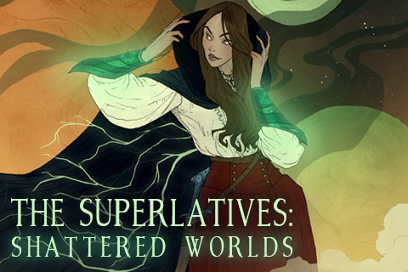 "The Superlatives: Shattered Worlds" is Copyright 2019 Alice Ripley. All rights reserved. Alice Ripley works as a writer and designer in the Pacific Northwest, where the drizzle gives her the perfect excuse to stay indoors with whiskey, books, and cocoa. Sometimes all at once.